In it’s inaugural season as Tier 1 competitors, the Utica Comets Jr. Elite 2004 and 2006 teams are off to an impressive start. 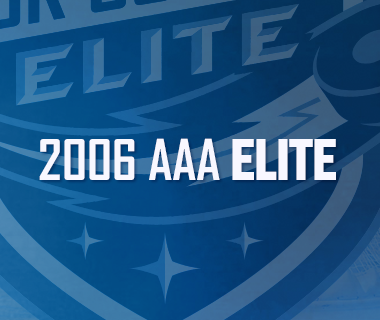 For the first time ever, the two Jr. Comets Elite teams will be competing under the title of Tier 1. Both teams began their season on Sept. 12 by taking part in a three day training camp to help get players acclimated and ready to compete at the Tier 1 level. The 2004 Jr. Comets Elite team began the season by playing a mix of Top AA teams, as well as nationally ranked AAA teams. Through this young season, the 2004 team owns a winning percentage of .667, with a 10-5 record. So far, the Jr. Comets have outscored their opponents 63 to 34. This weekend, the Jr. Comets will play two games against the New England Jr. Falcons, both the games will be played at The Hotchkiss School in Lakeville, CT. To finish off their weekend, the team will drop the puck in Troy, NY on Sunday against the Troy-Albany Titans. As for the 2006 team, they have already played 20 games holding a .625 winning percentage with a 12-7-1 record. Through the first 20 games of this early season the 2006 Jr. Comets hold an advantage in the goal category with 82 goals for, while surrendering 47. After finishing their 3 day training camp, the 2006 team traveled to Rochester, NY to compete in the Rochester Monarchs Tournament. As expected the competition is much higher and the teams are competing against highly competitive opponents. Looking ahead, the 2006 team will be competing in the New Hampshire Jr. Monarchs Elite Prospects Showdown this weekend in Hooksett, NH where they are scheduled to play four games.